It’s been a while since I have done a “Label for Less” post and it’s time I brought it back! 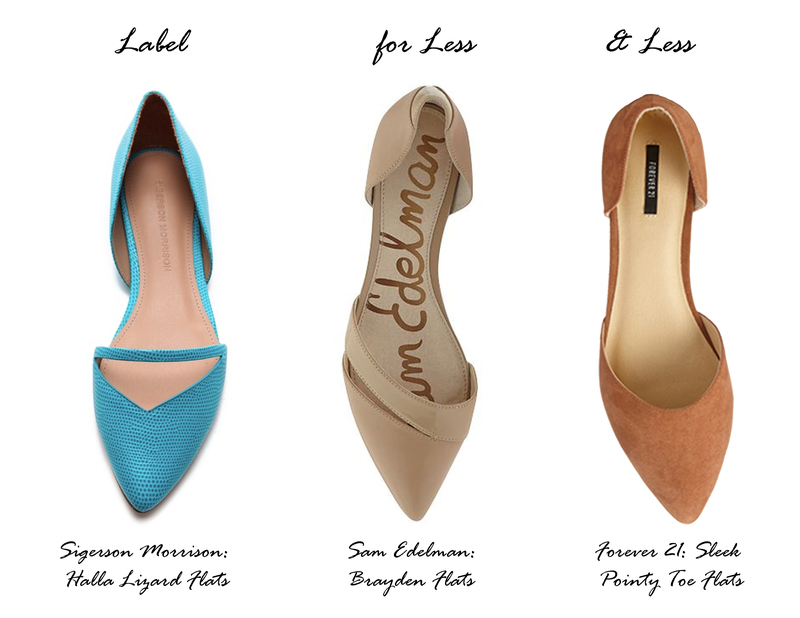 It’s not quite time for flip-flops and stripy sandals just yet so I’ve decided to show some options for pointy-toe flats at everyones price range. Label: Sigerson Morrison, $350. For Less: Sam Edelman, $110. & Less: Forever 21, $19.80.